Here are Movie-Moron’s top 20 best romantic movies to get the pulses racing, tears flowing and the hearts fluttering. Helpful because as the world remains in recession, many loved up couples on a budget will opt for a cosy evening on the sofa. Starring Jim Carrey at his best and Kate Winslet at her kookiest, Eternal Sunshine is a refreshing take on a modern love story with a surreal twist. Written by Charlie Kaufman, and directed by Michel Gondry, the movie focuses on Joel Barish (Carrey) who is left broken hearted when he learns his ex girlfriend Clementine (Winslet) undertook a procedure to erase him and their love affair from her memory. In a fit of sadness and anger, Joel undertakes the same procedure, but as he watches his memories of Clementine fade away, he realises that he still loves her, and tries to hold onto his memories of her before she disappears forever. A young English poet (Ewan McGregor) arrives in Paris in 1899. 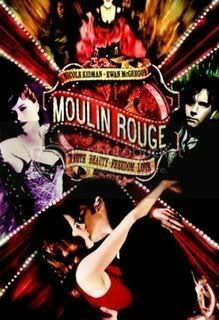 He meets a group of Bohemians who take him to the Moulin Rouge – Paris’ most famous underworld nightclub – where his eyes are drawn to Satine (Nicole Kidman); the club’s most enchanting and sort after courtesan. The pair fall head over heels, however, the owner of the Moulin Rouge invests Satine to a wealthy Duke who will only pay to keep the club going if the courtesan is his and his alone. A passionate love triangle ensues within a barrage of music and wondrous dance routines, but ultimately ends in tragedy. 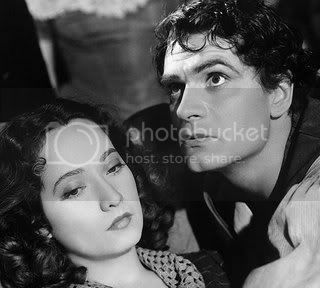 Emily Bronte’s only novel was first brought to the big screen in 1939, starring Laurence Olivier as Heathcliff and Merle Oberon as Catherine (the actors reportedly hated each other, but never mind). Heathcliff is a ragged boy from the city brought during the early 19th Century to live with a Yorkshire farming family. The daughter Catherine becomes his soulmate, and after her parents die the two grow up wild and free on the moors. But when Catherine meets the son of a wealthy neighbour she marries him for his status and it all turns to tragedy. 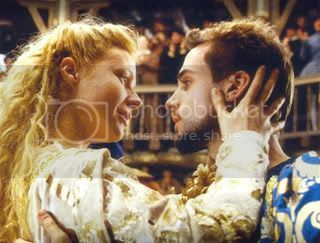 An amusing, and fictional, romantic tale about how William Shakespeare came to write his classic play Romeo and Juilet. Suffering from writers’ block, Shakespeare (Joseph Fiennes) holds auditions for his Romeo character. Viola de Lesseps (Gwyneth Paltrow), an aspiring actress banned from acting because of her gender, maserades as a man to get the part. When Shakespheare discovers her true identity, the pair begin a forbidden love affair, and his passion for Viola provides him with the inspiration to complete the play. I can’t belive that Harold and Maude is not there! i cant believe “A WALK TO REMEMBER” is not on this list……. one of the best romantic movie i have ever come across….. I totally agree…………….no list of romantic movies is compete without A WALK TO REMEMBER landing in the first place! I love your list! There are actually 4 I haven’t seen, but I agree with the ones I have. I love that you put the new Romeo+Juliet in there. It’s one of my favorites and so many people can’t stand it! I was kind of surprised that you didn’t have sleepless in seattle though! Some others that are great are Pride and Prejudice (The new one is really great!) and The Princess Bride. Great romances! i also cant believe that “a walk to remember” was not on the list its my top romance movie ever!!!!! where is “jeux d’enfants” and “le fabuleux destin d’amelie poulain”? I laughed at the suggestions of Music & Lyrics and Mr and Mrs Smith.. I loved your list as far as heterosexual romance goes, but I think Maurice is quite romantic. (not so much at the beginning with Hugh Grant, but towards the end with the country boy Scudder..) E.M Forster does write some good stuff, but A Room with a View isn’t all it’s cracked up to be..
I’ve seen so many romantic films that I can’t think of any more to add.. titles were never my thing. I wish I had the patience for Casablanca. I find old movies move so slowly… maybe I’ll start from the middle or something. My Sassy Girl, The Wedding Planner, Serendipty, Walk to Remember, Sleepless in Seattle, Tuck Everlasting, Most of Disney Classics, The Wedding Singer, Enchanted, She’s All That, Pearl Harbor, Anastasia (the animated movie), He’s Just Not Into You, Definitely Maybe, Just Friends, The Proposal, Confessions of a Shopaholic, Love and Basketball, and alot of the movies you’ve already listed. I would love to find “Kate & Leopold” mentioned as one of most romantic movie of all time. Wait a minute…, does everybody miss “English Patient” and “You’ve Got Mail”??? DOWN TO YOU, head over heels! What Dreams May Come is a fantastic and a masterpiece of romance. If you love romance you need to watch this. Meet Joe Black is another. and also Captain Corrielle’s Mandolia. Im not sure if that last one is spelled right. It with Nicolas Cage and Penelope Cruz. Just watched it and loved it. TITANIC is the best romance movie of ALL time!!!! I agree. Titanic is epic. notebook and a walk to remember are crap…..